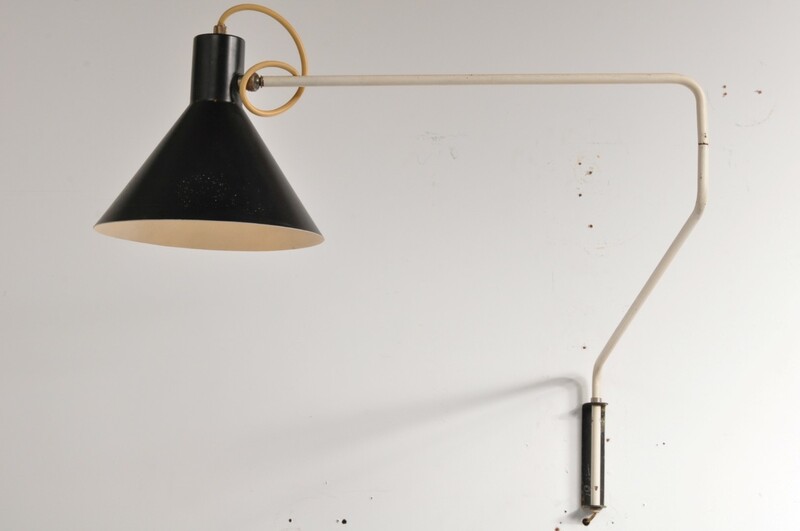 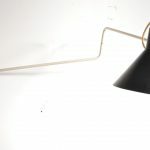 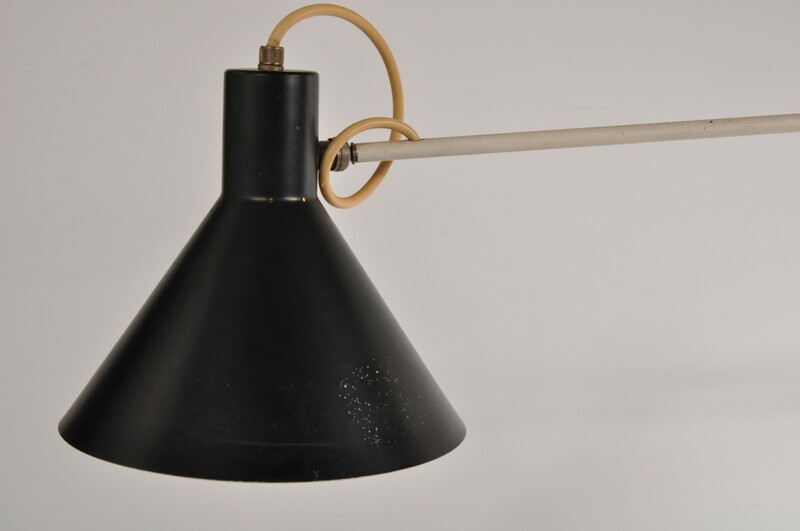 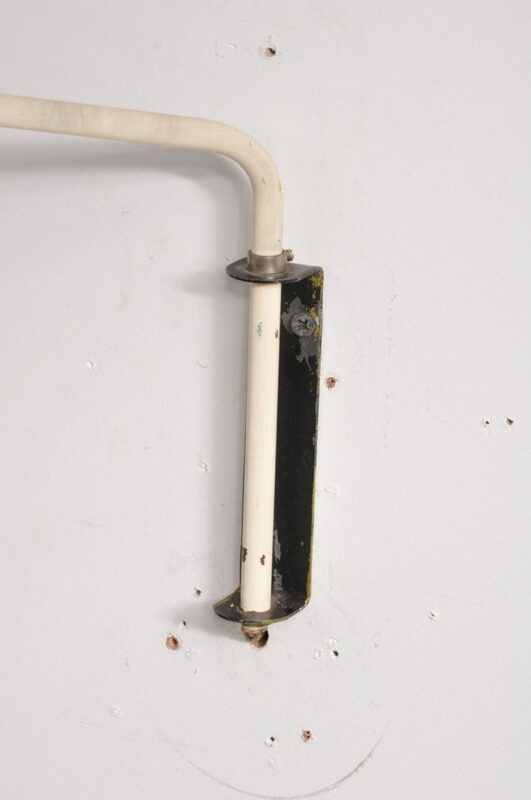 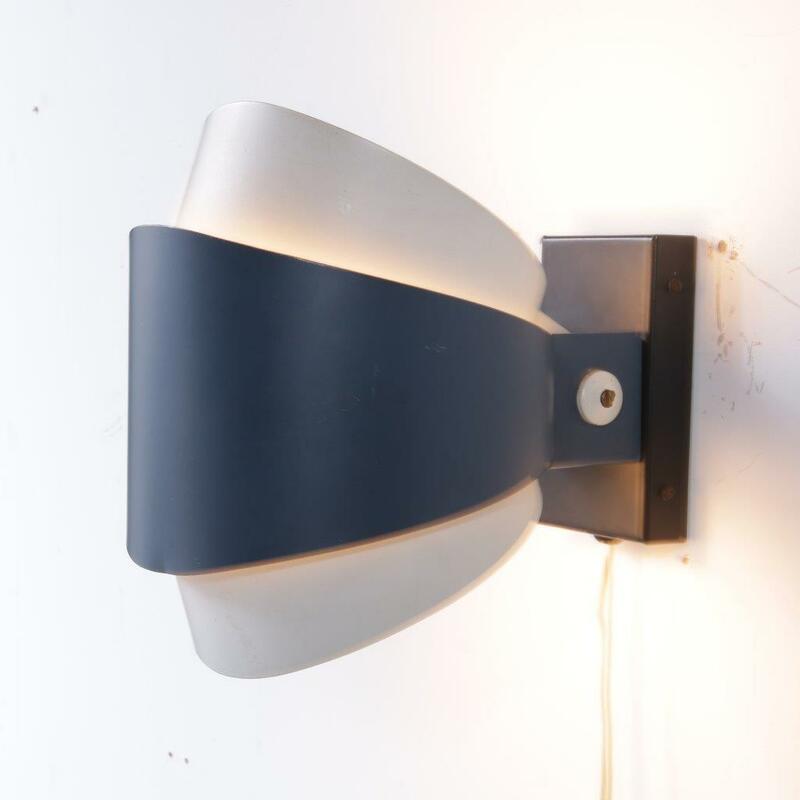 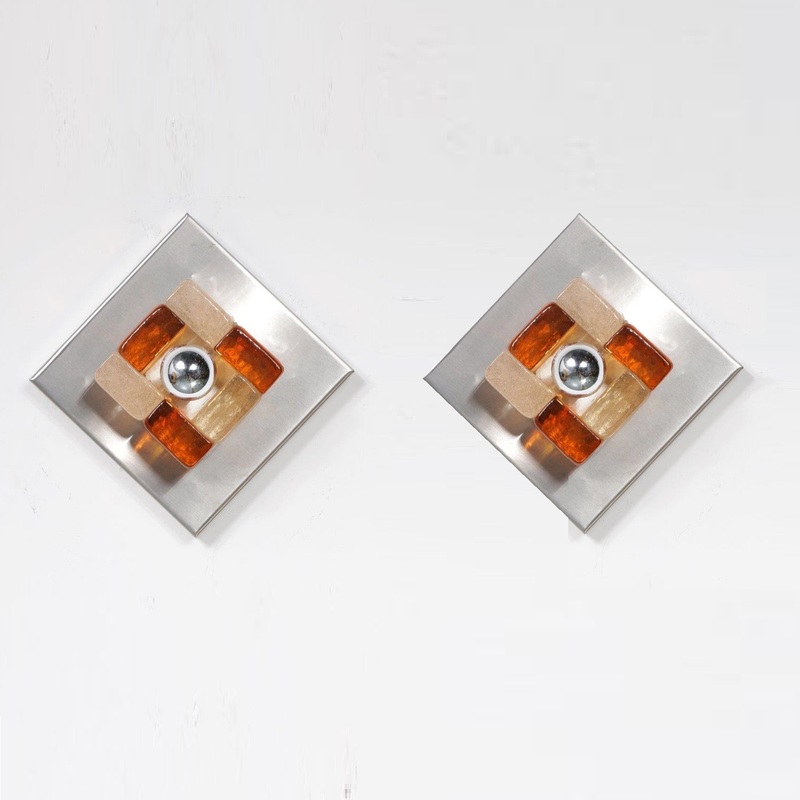 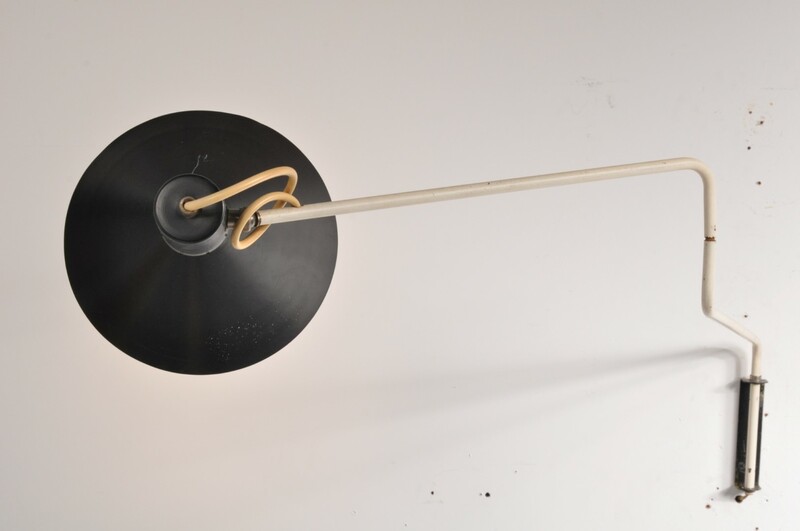 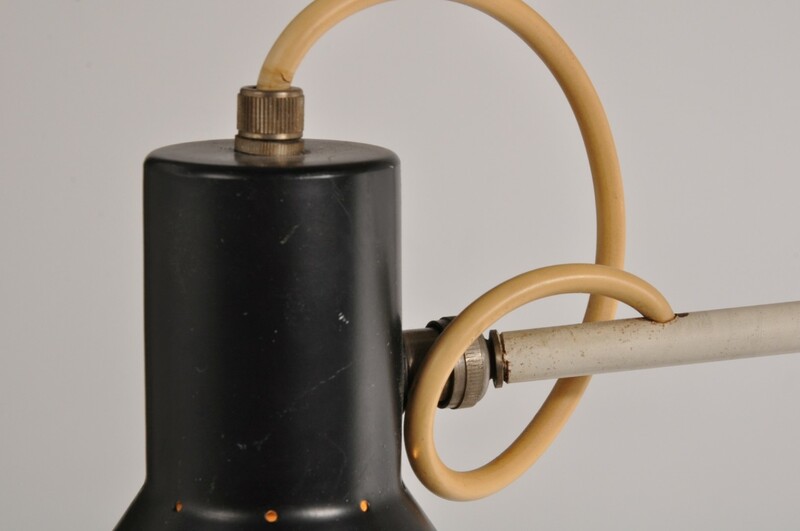 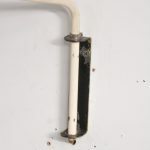 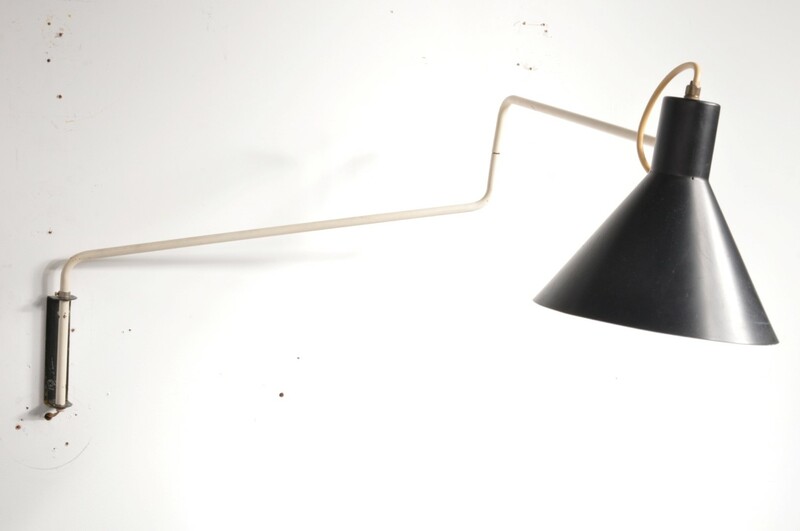 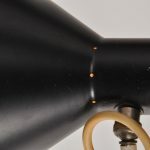 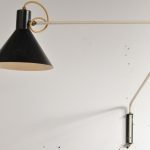 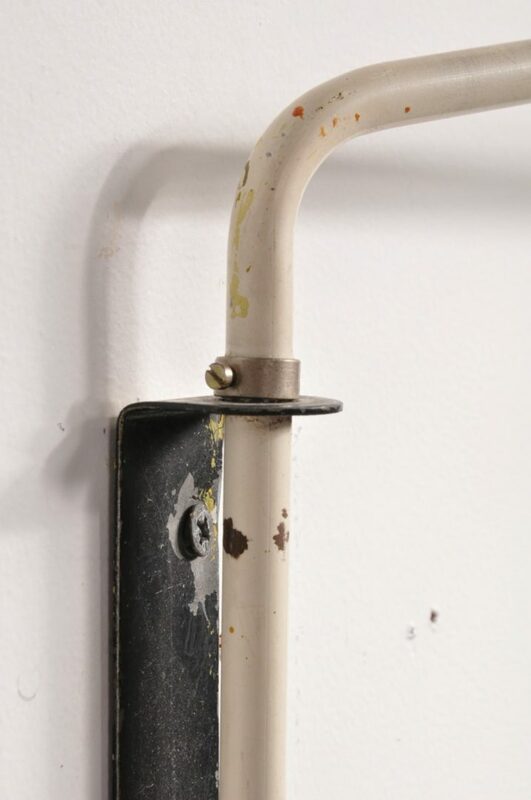 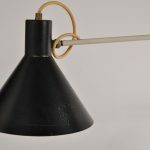 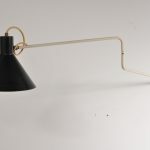 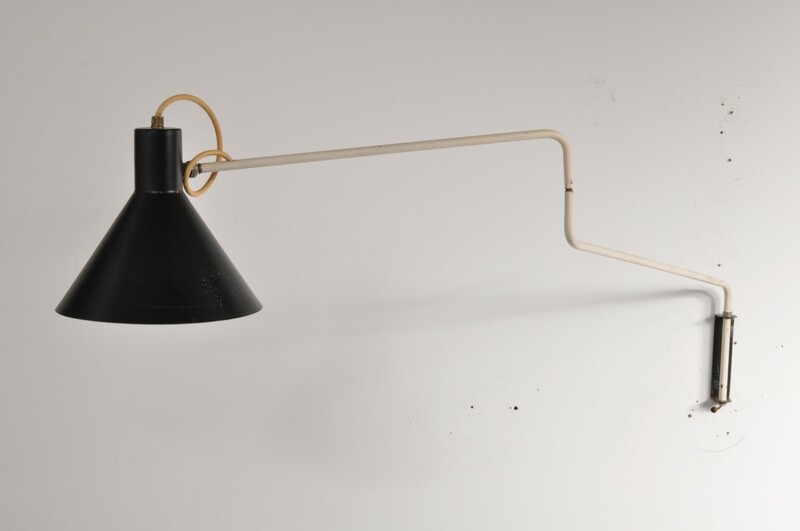 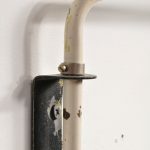 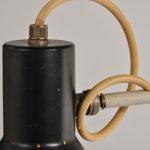 An iconic piece of Dutch design, this metal elbow (or paperclip) wall lamp! 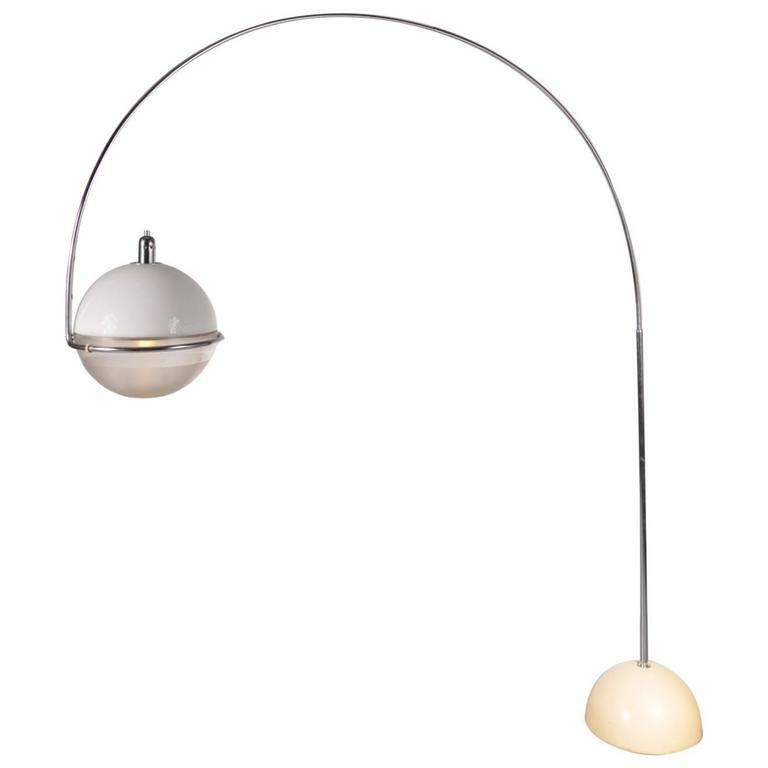 The white metal base is shaped with a fold and can be repositioned in many different angles and directions. 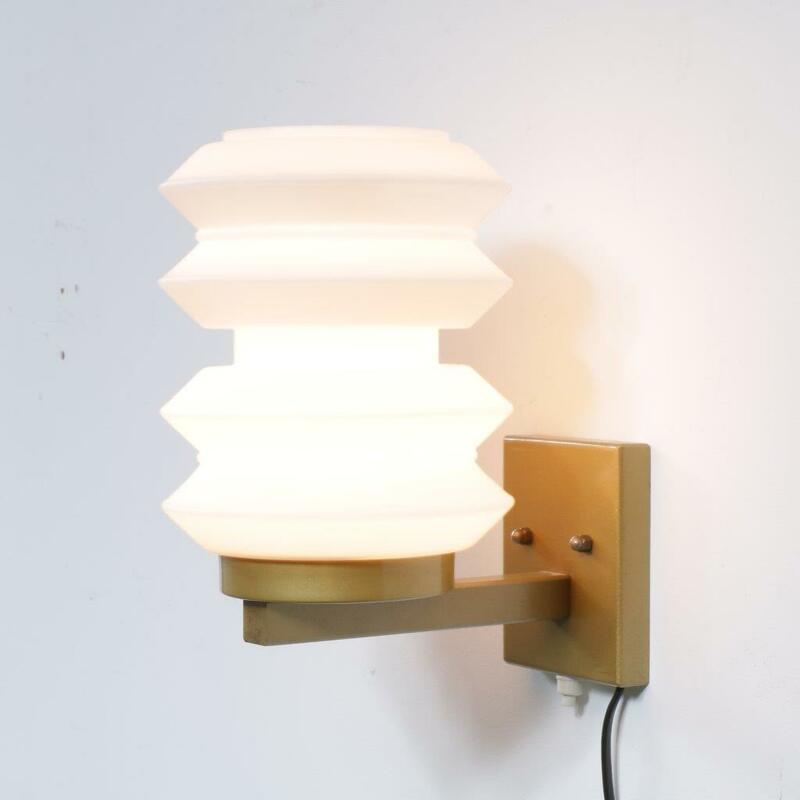 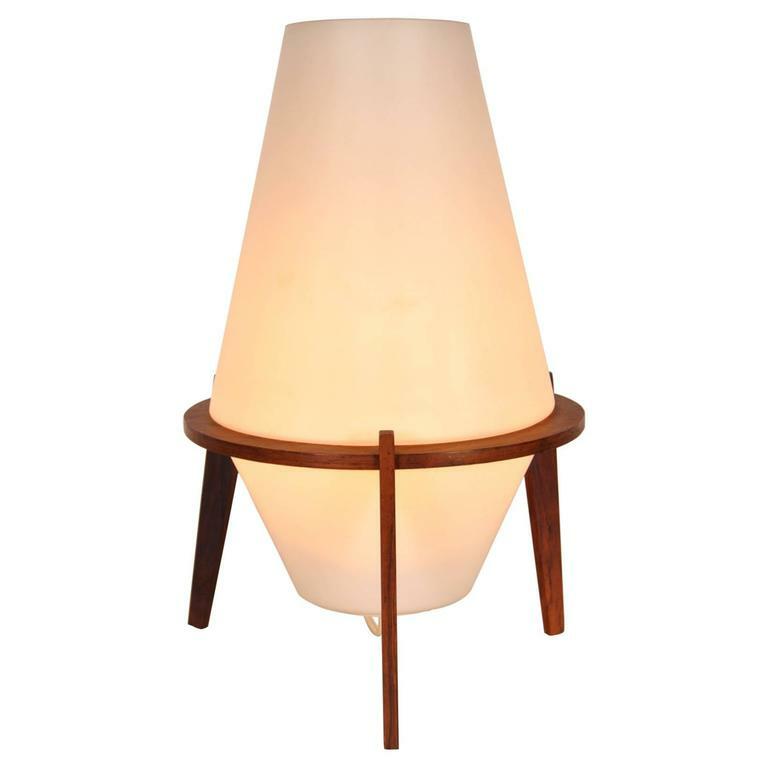 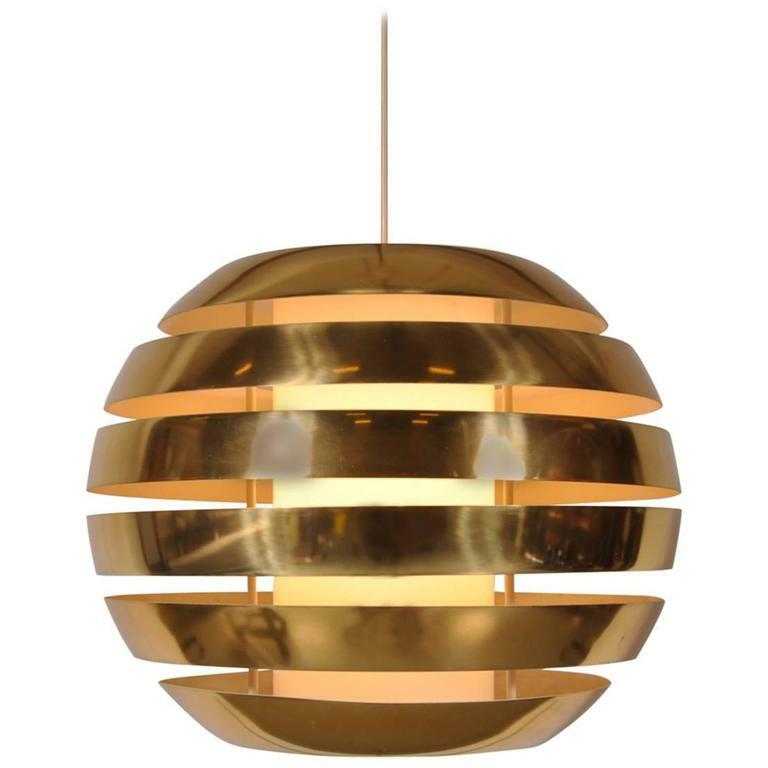 This creates a multifunctional piece that can emit it’s bright light in several directions. 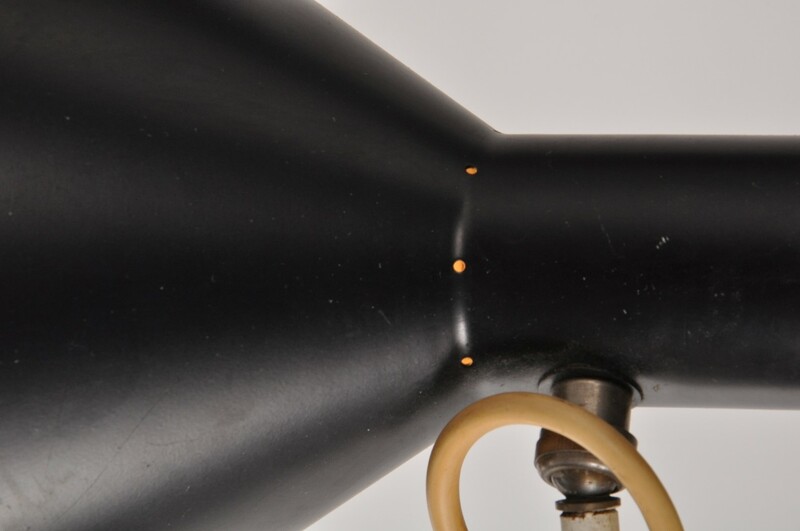 The triangle shaped hood is black lacquered, just like the foot. 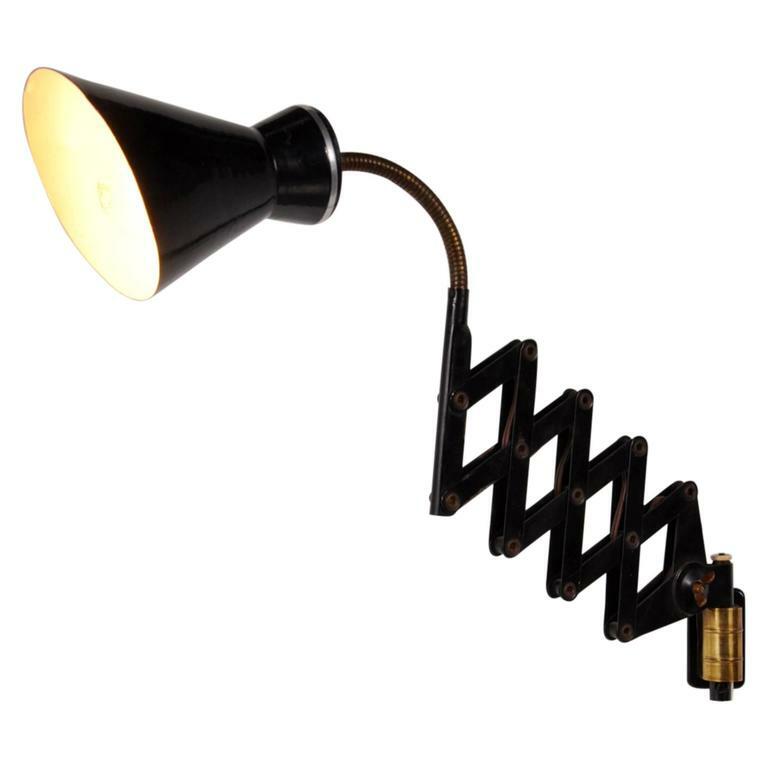 This industrial styled piece will add some style and character to your decor! 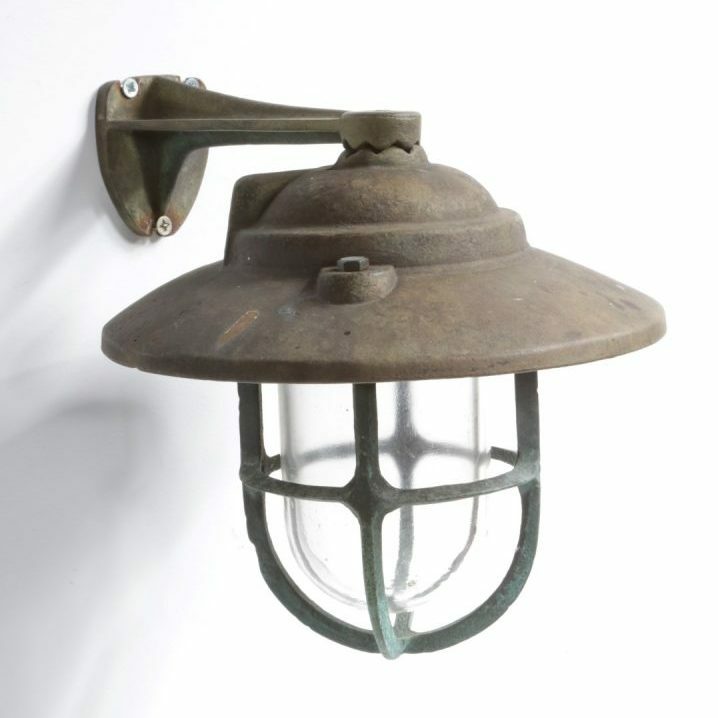 It remains in good, vintage condition, preserving a beautiful patina. 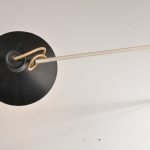 The diameter of the hood is 20 cm.